Well, this is something different. 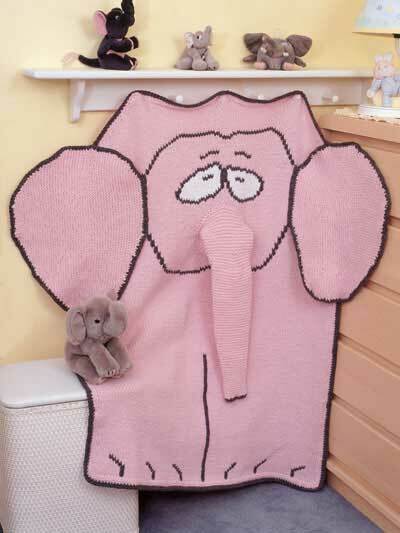 Complete with an attached trunk and floppy ears, here is an elephant blanket designed by Kathleen Brklacich Sasser. It’s an intermediate pattern that uses stockinette and garter stitches with duplicate stitches for the borders. Its finished size measures 33″ x 55″. Available at Free-KnitPatterns.com – Free Pattern of the Day.